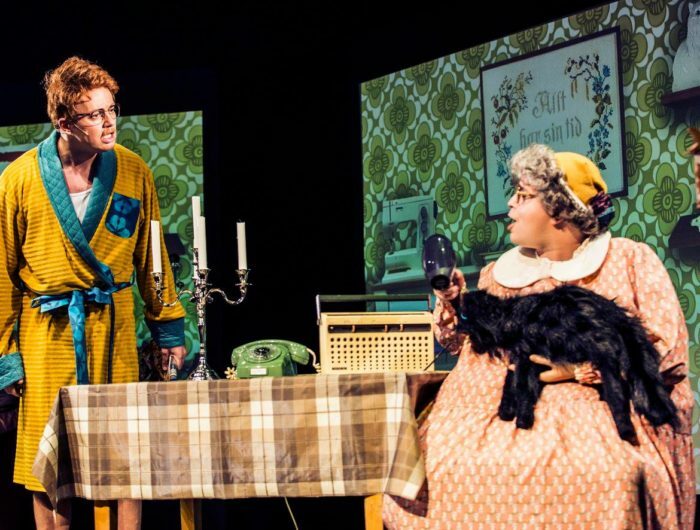 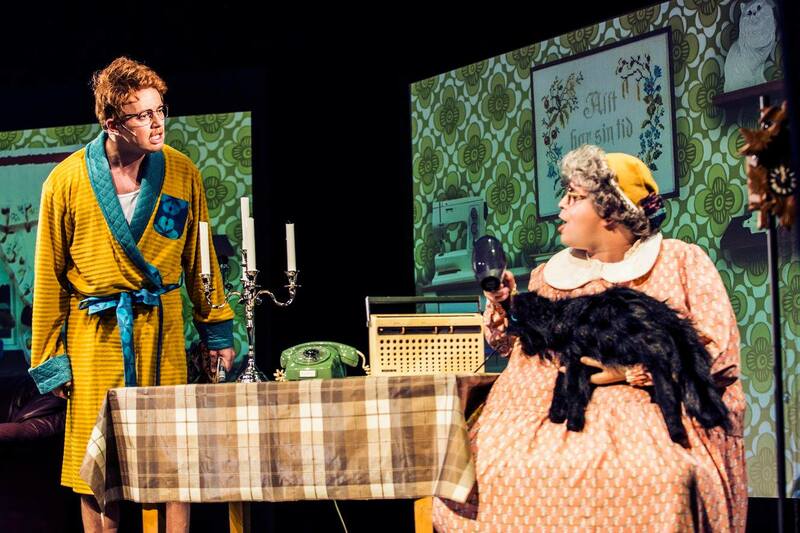 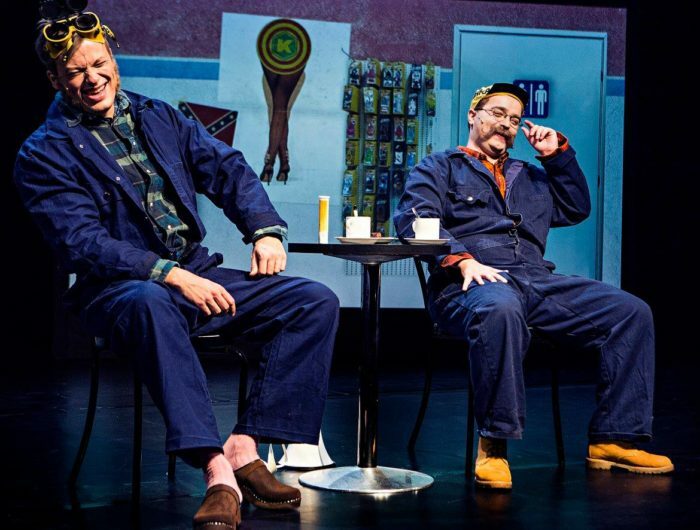 A two-man show held at Wasa Teater in Vaasa between November 2016 and Februari 2017. 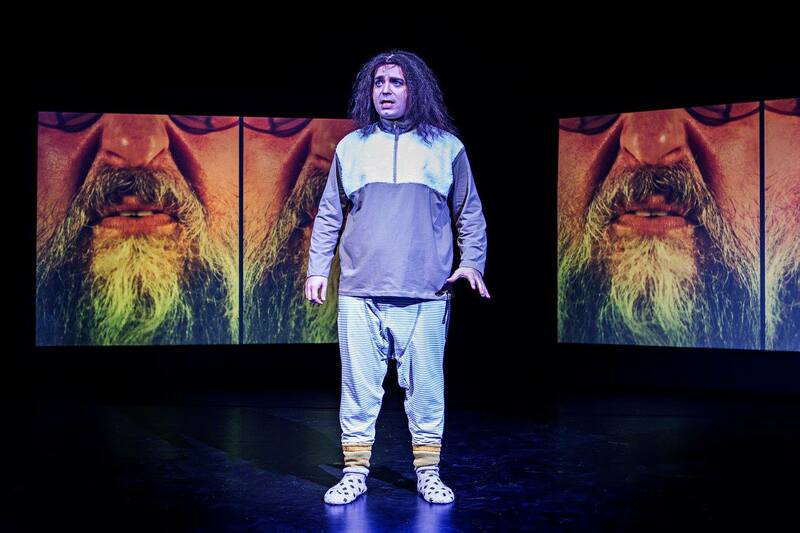 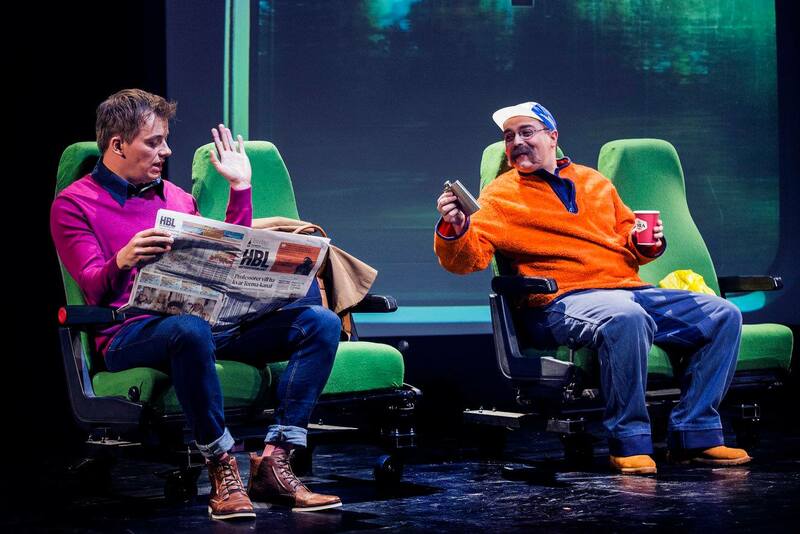 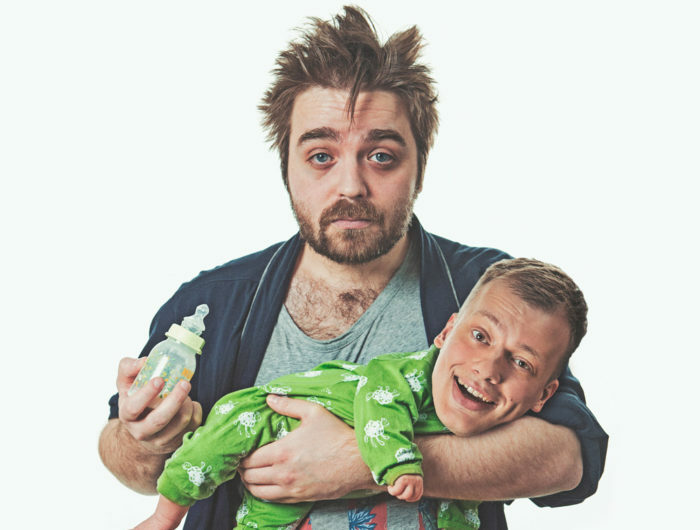 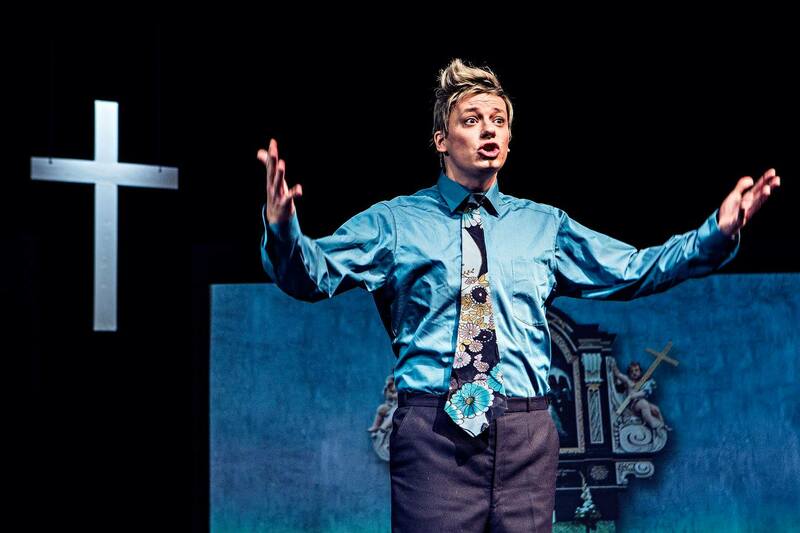 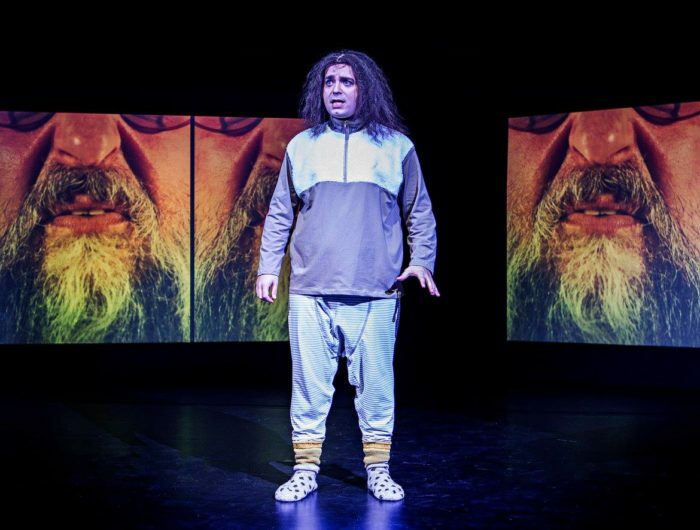 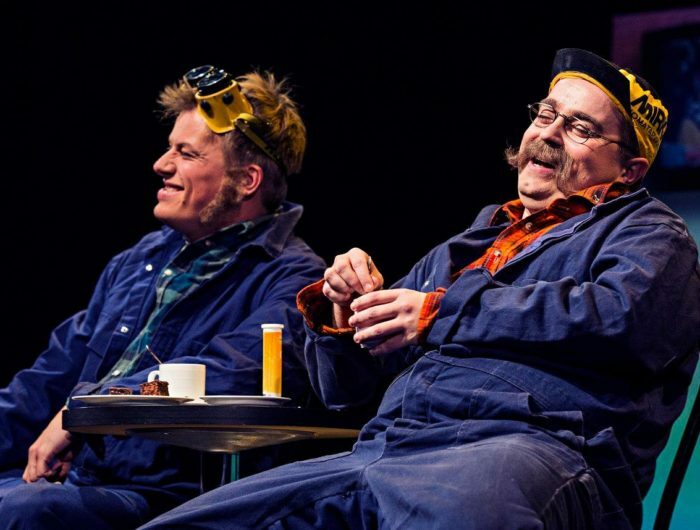 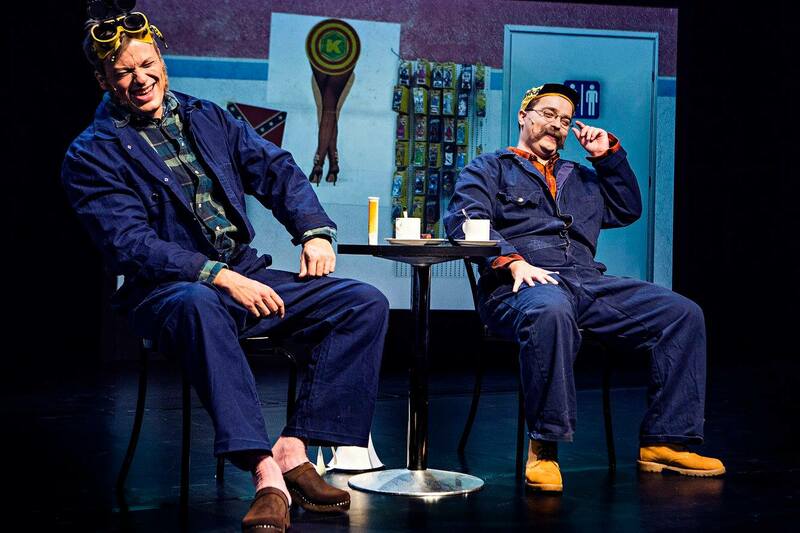 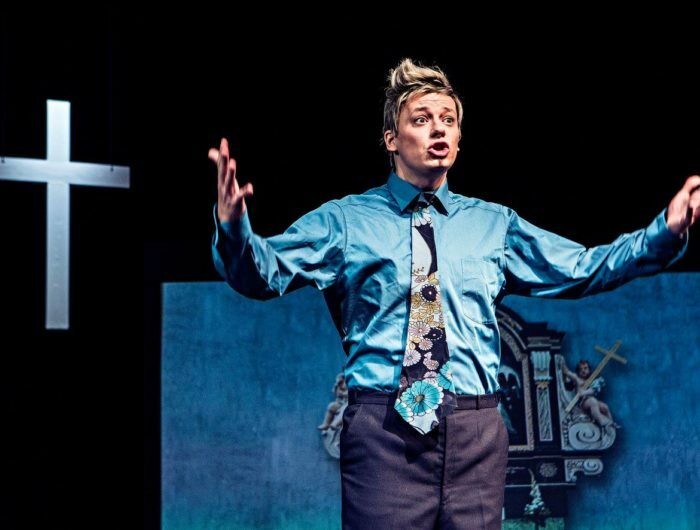 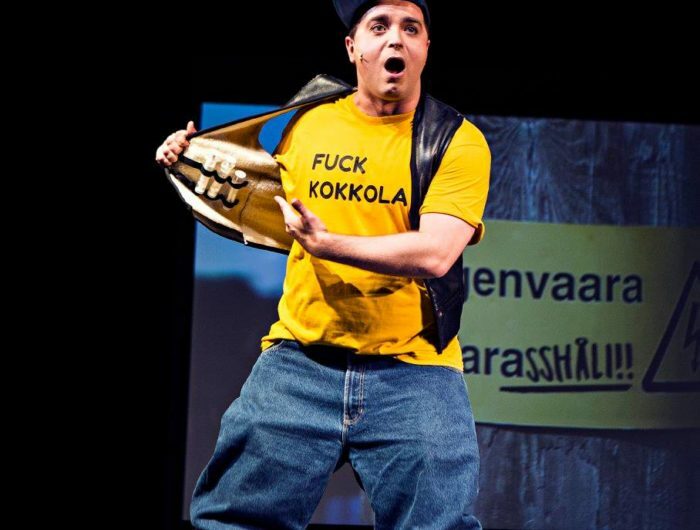 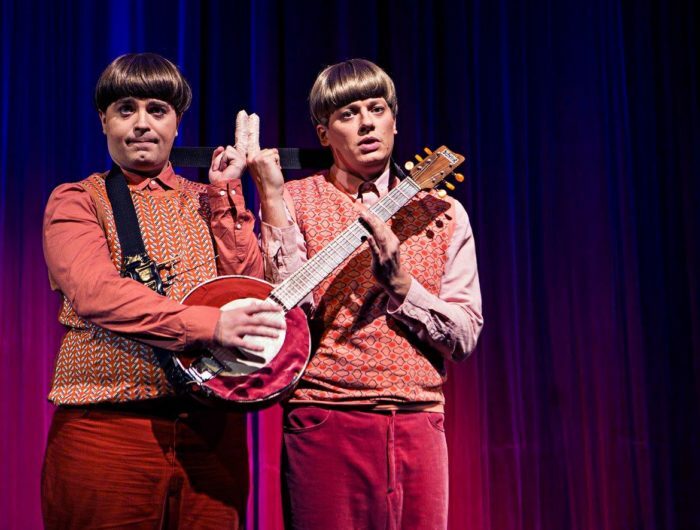 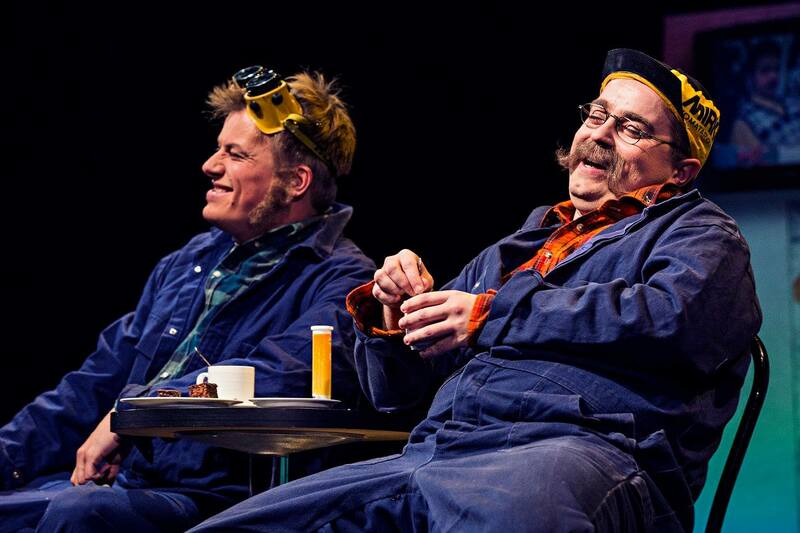 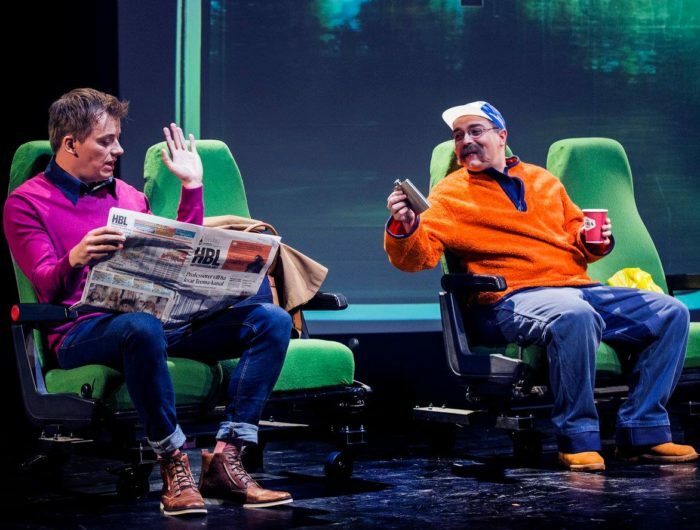 The comic theatre show was written and acted by the renowned, hilarious duo Ted Forsström and Kaj Korkea-Aho also known as Pleppo. 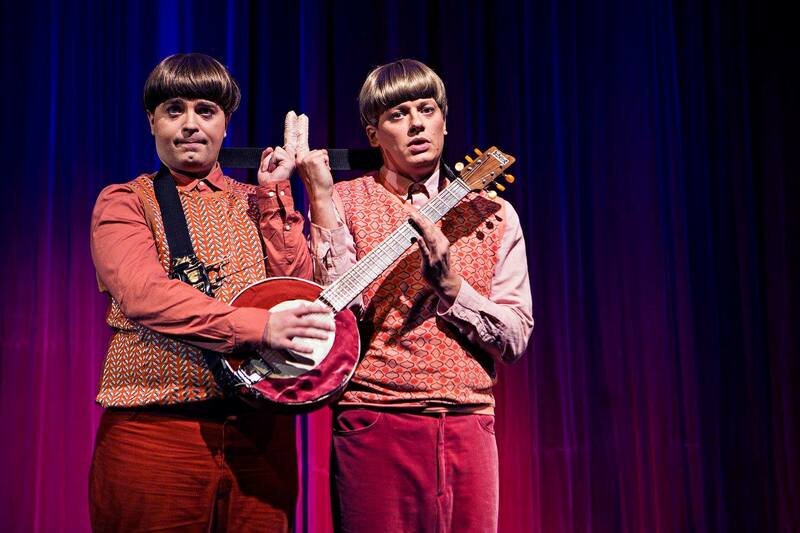 Over 16 000 people saw them perform a total of around 90 shows. 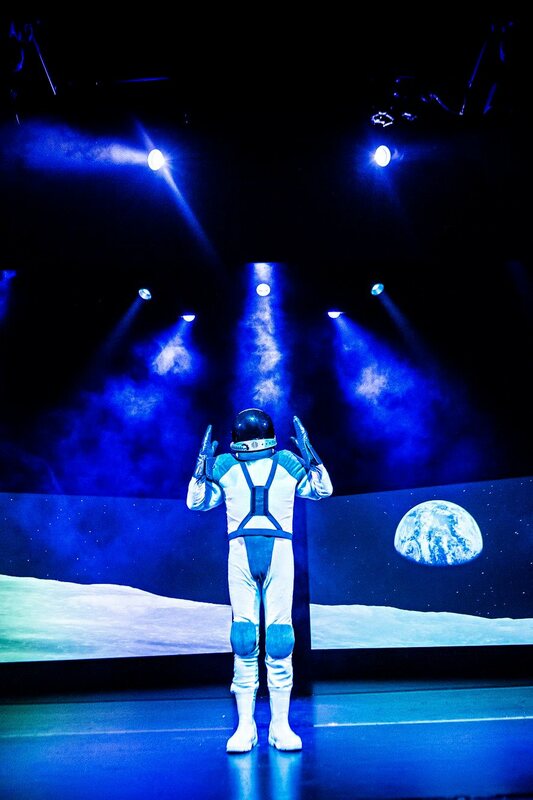 Together with the duo we created the visual projections for the show as well as the poster. 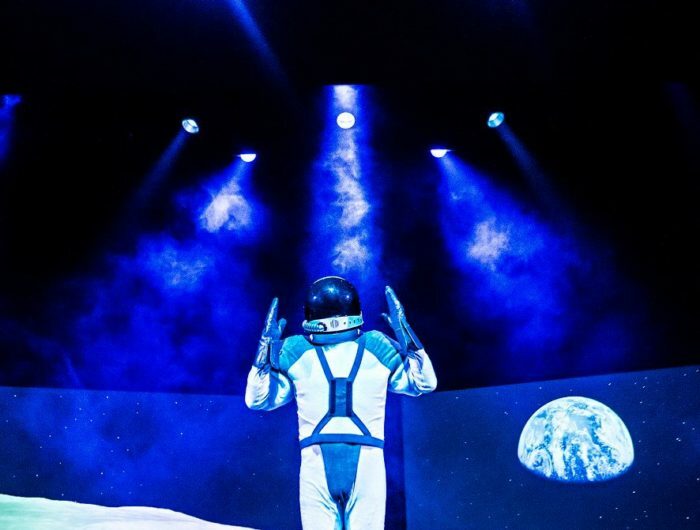 The projections were shown on two big screens on stage, a variety of videos, artistic installations and still shots to highlight what was happening on stage.